Katherine Tegen Books, 9780062698872, 336pp. Katie Henry is a writer living and working in New York City. She received her BFA in dramatic writing from NYU’s Tisch School of the Arts and is a published playwright, specializing in theater for young audiences. Her plays have been performed by high schools and community organizations in over thirty states. 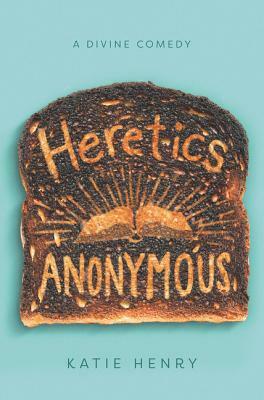 Heretics Anonymous is her first novel and is followed by Let's Call It a Doomsday. You can find her online at www.katiehenrywrites.com.